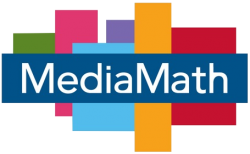 MediaMath is a global technology company that's leading the movement to revolutionize traditional marketing and empowering marketers to unleash the power of goal-based marketing at scale, transparently across the enterprise. Our platform - TerminalOne Marketing Operating System - handles billions of transactions every hour and hundreds of millions of internet users every day, which means every solution must be built to scale. Our breakthroughs create new marketplaces and solve long-standing problems in an industry that is constantly evolving.